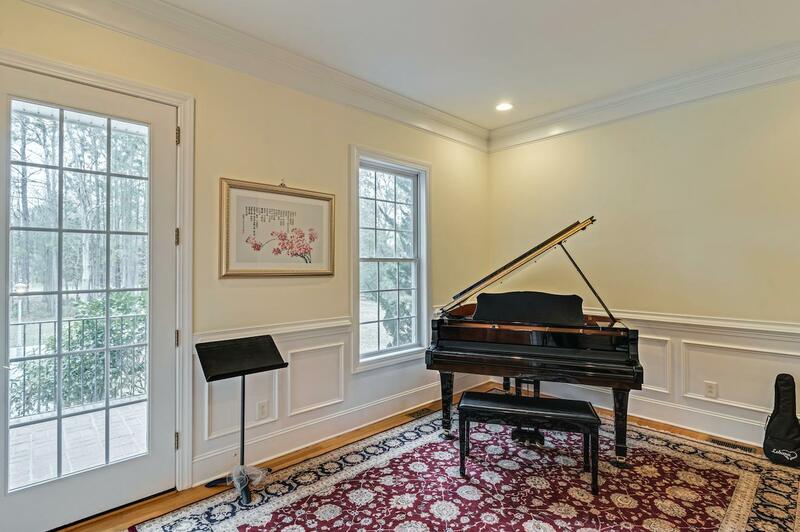 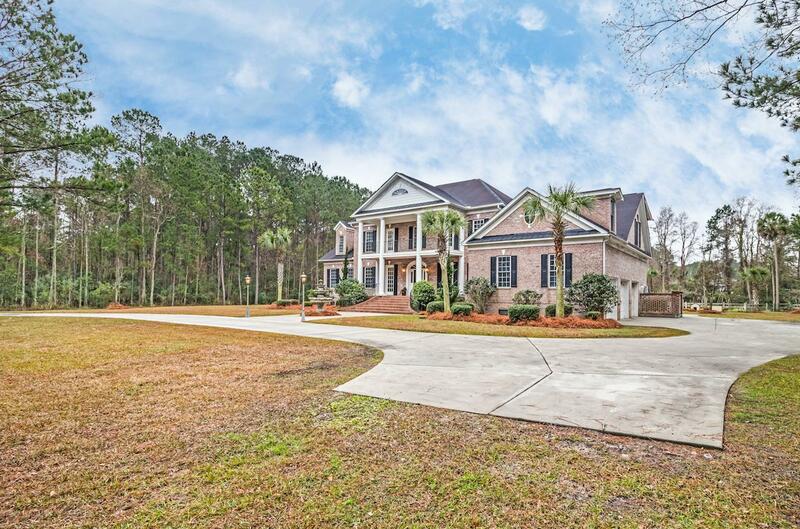 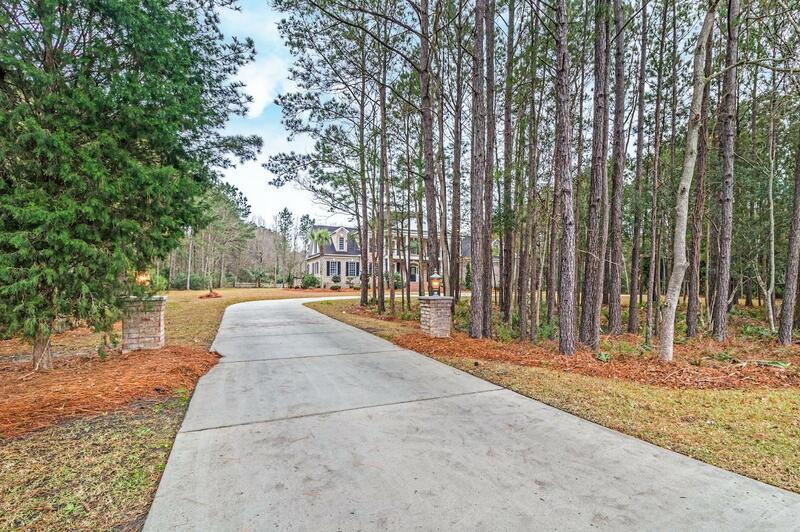 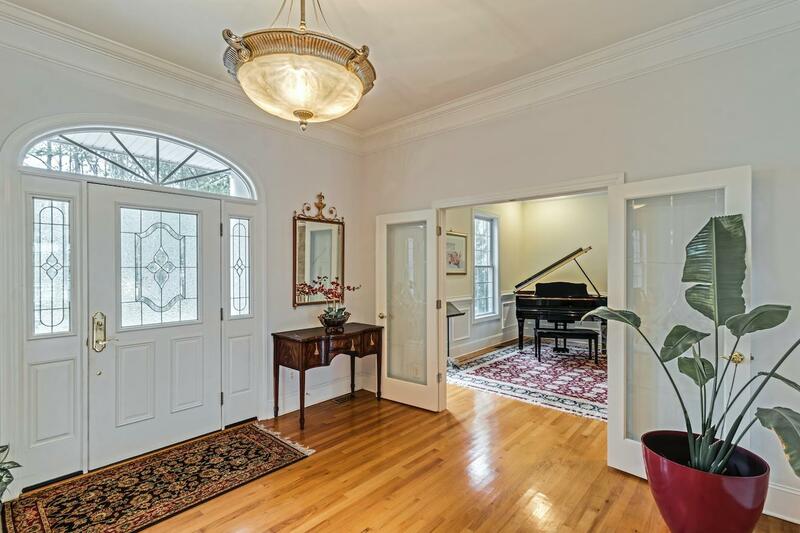 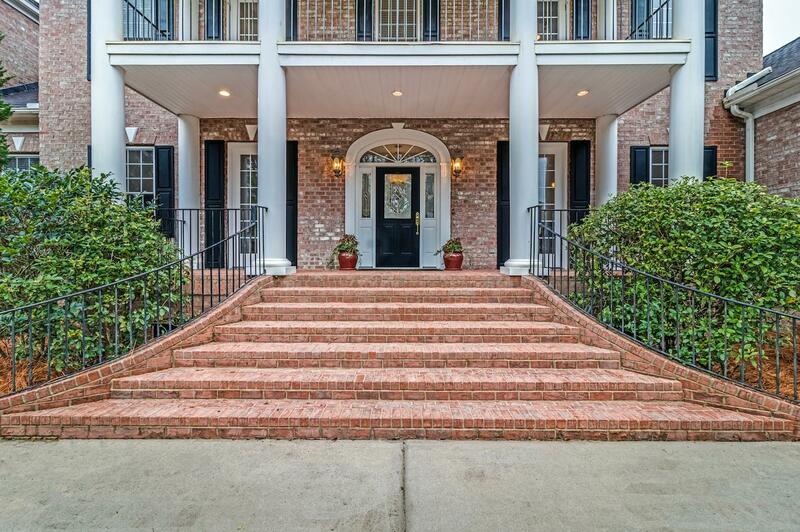 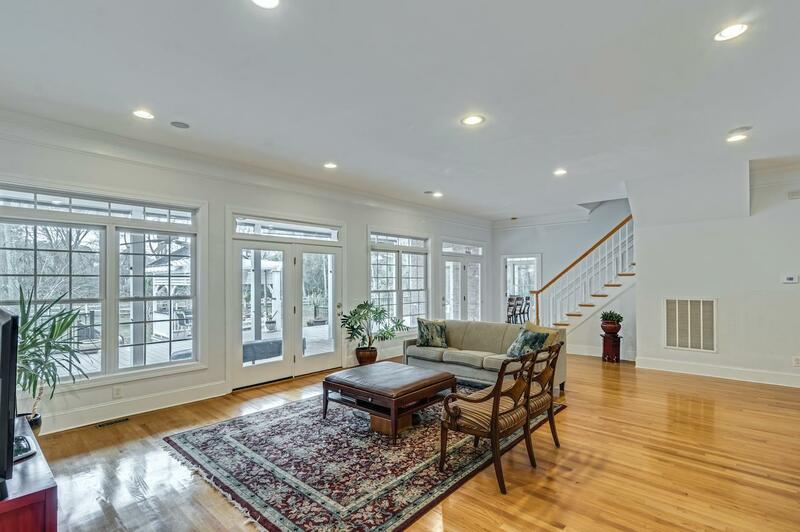 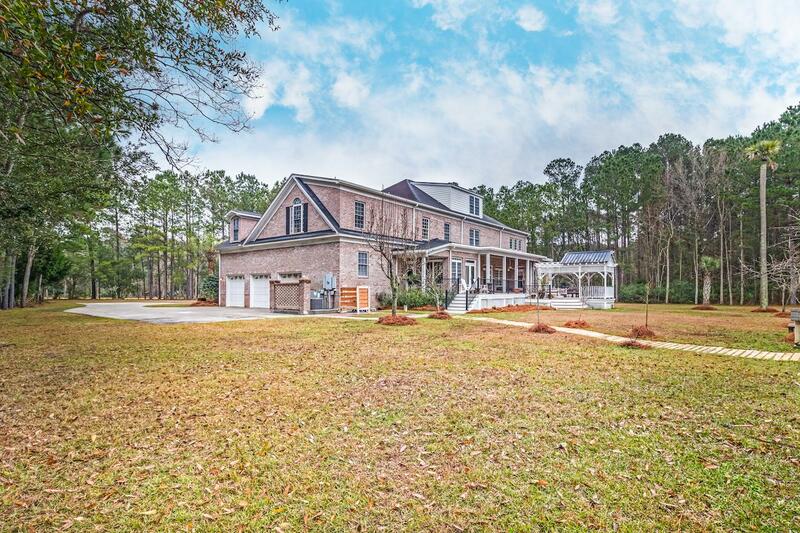 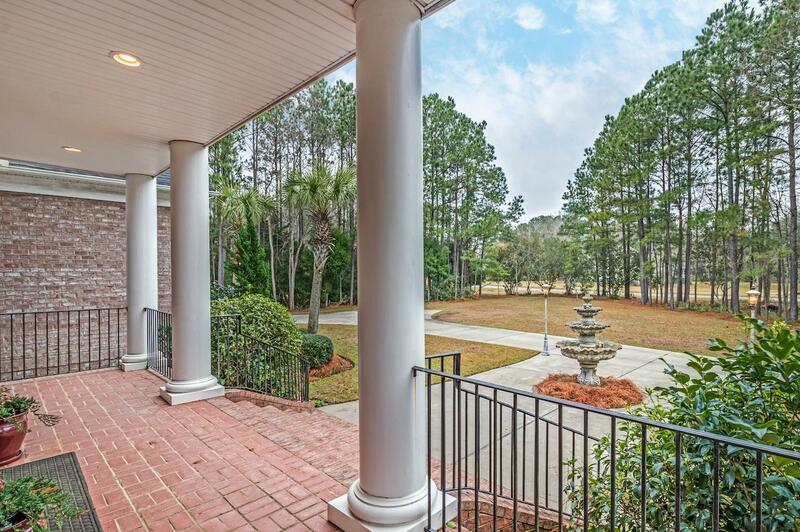 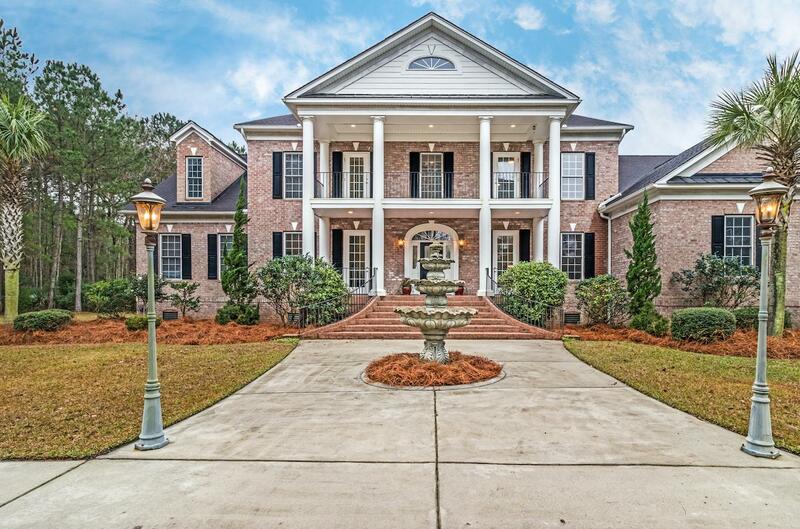 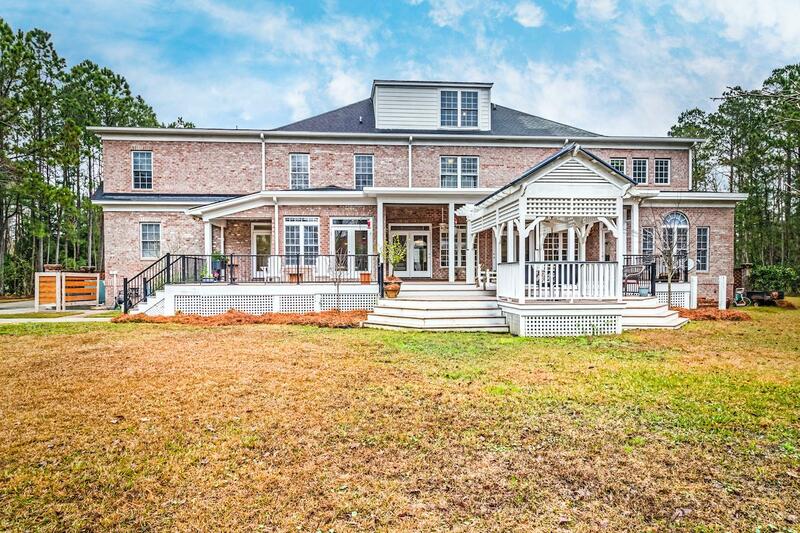 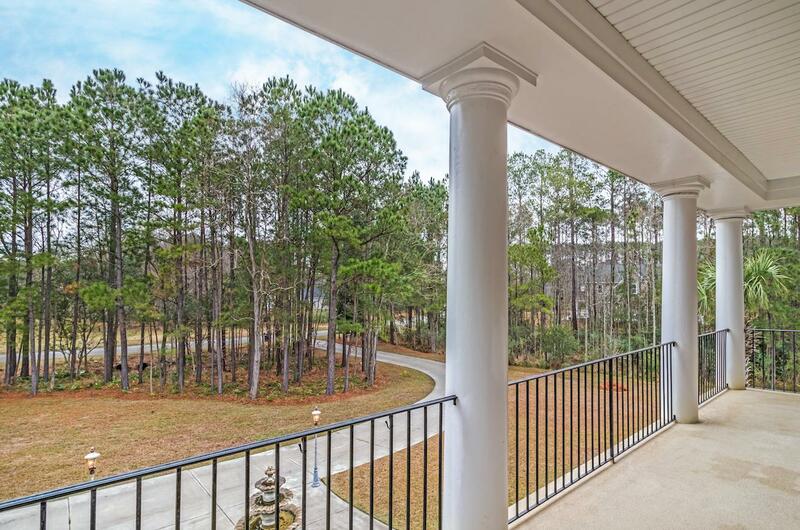 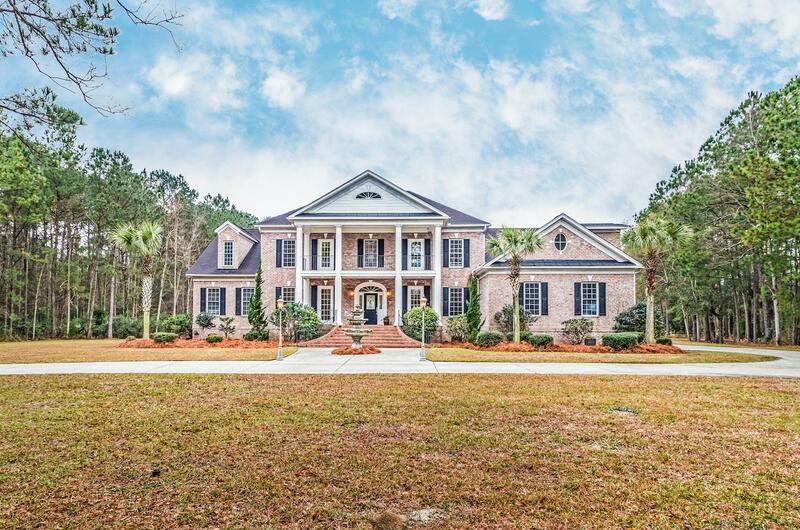 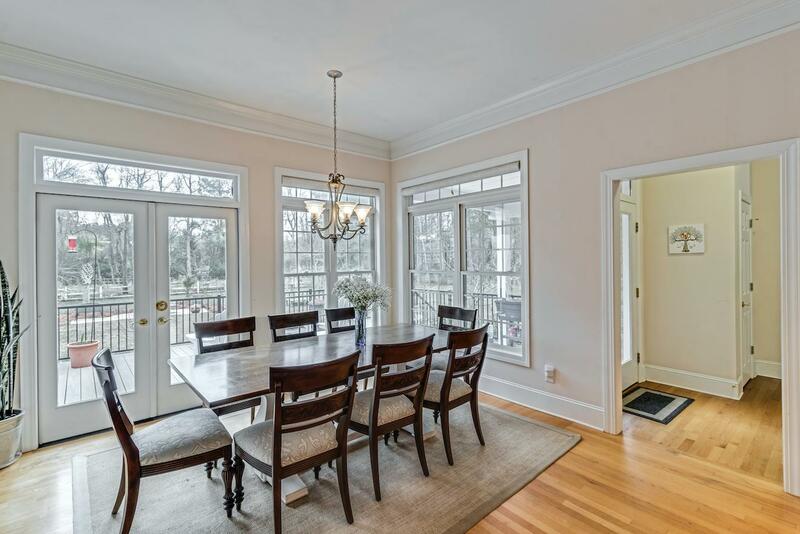 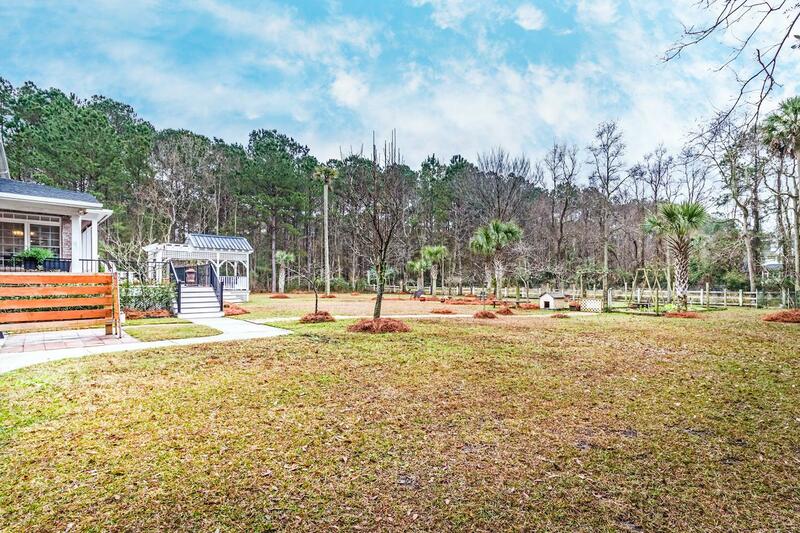 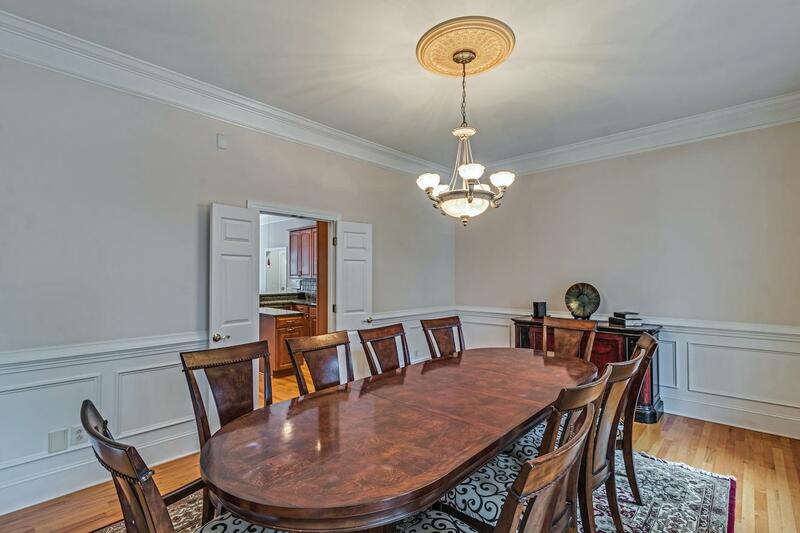 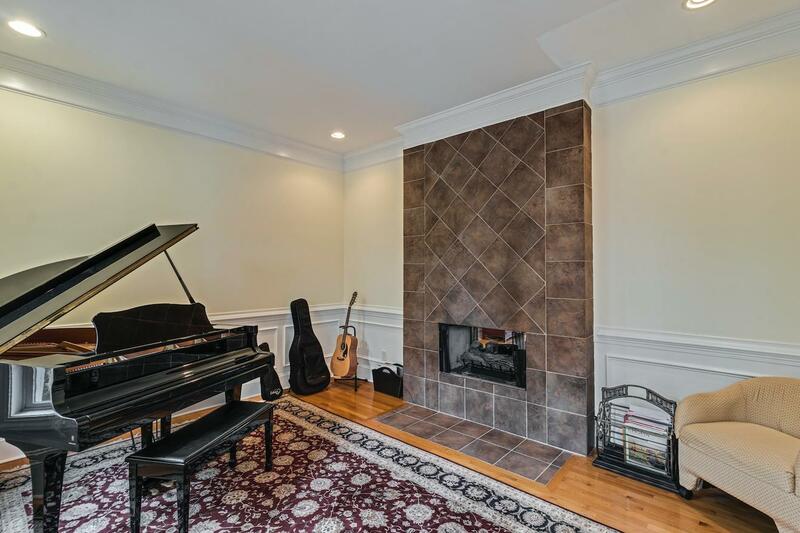 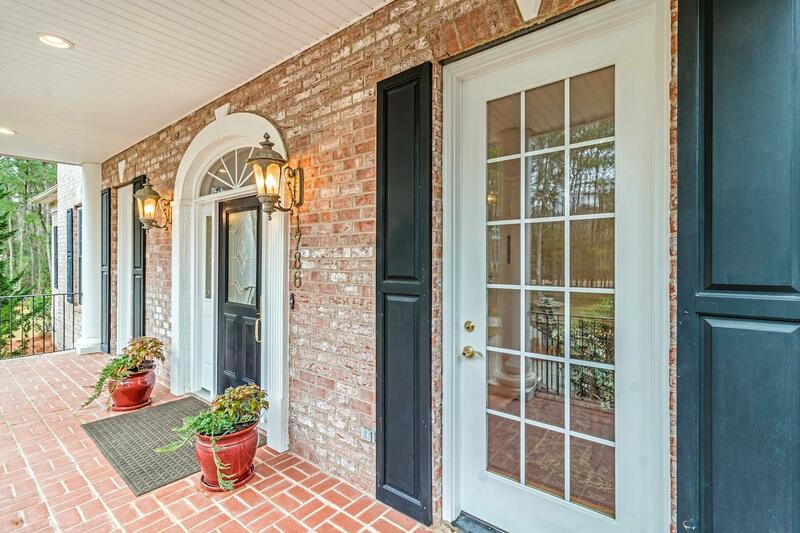 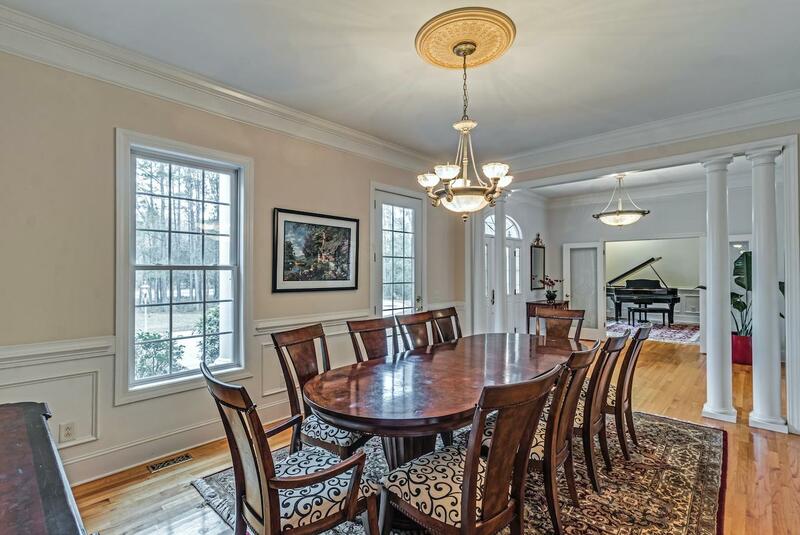 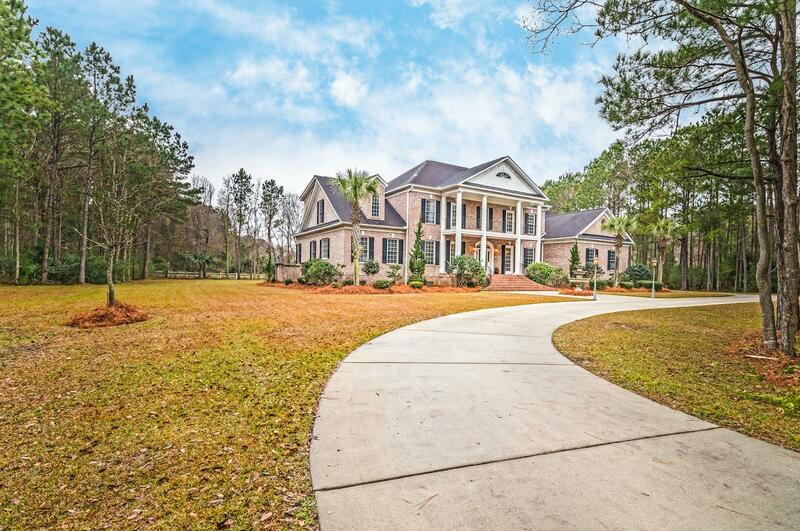 Gorgeous mansion with tons of space~ Upon entering this stately home, you are greeted by an open foyer, a sitting room with fireplace to your left and the formal dining room to your right. 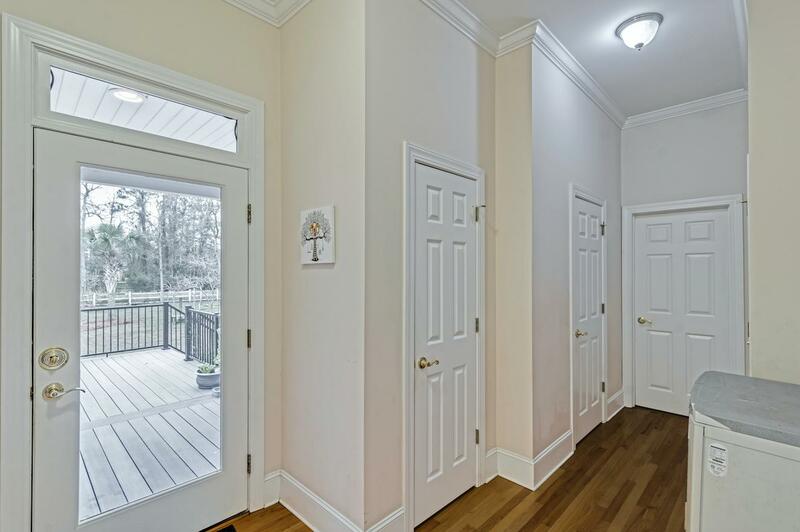 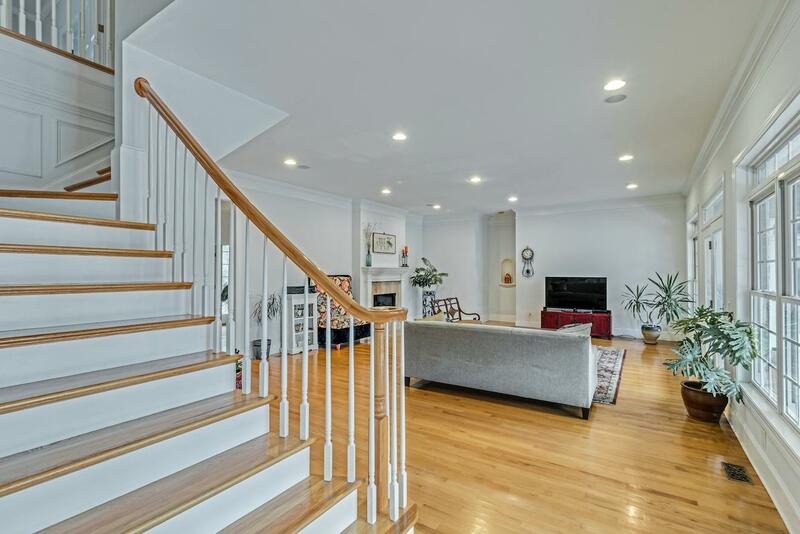 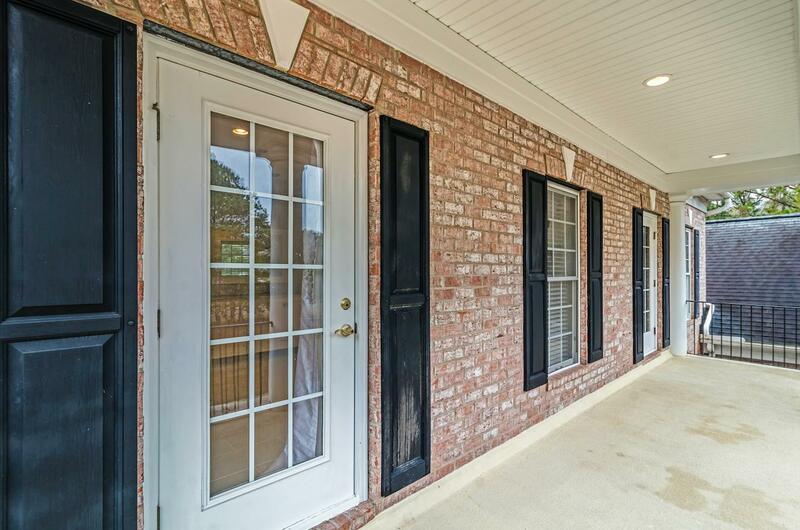 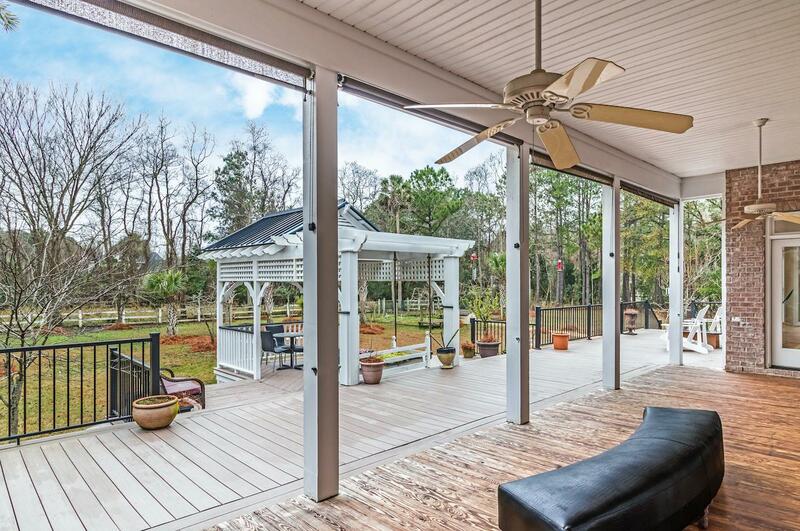 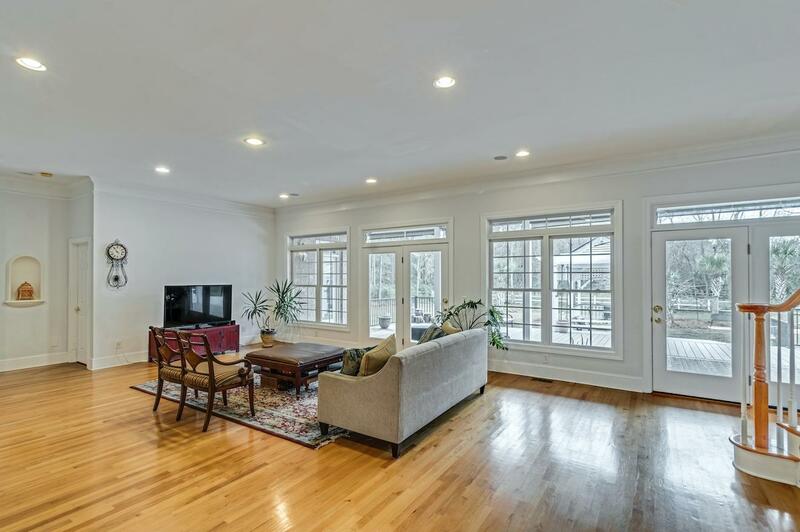 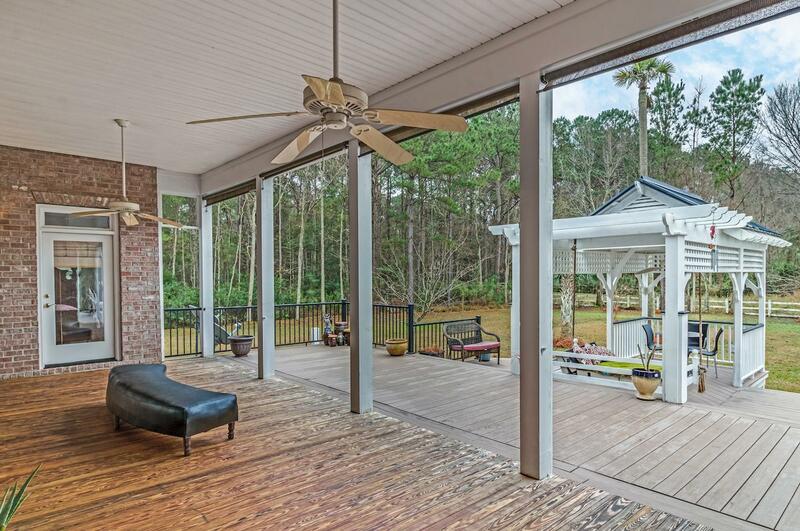 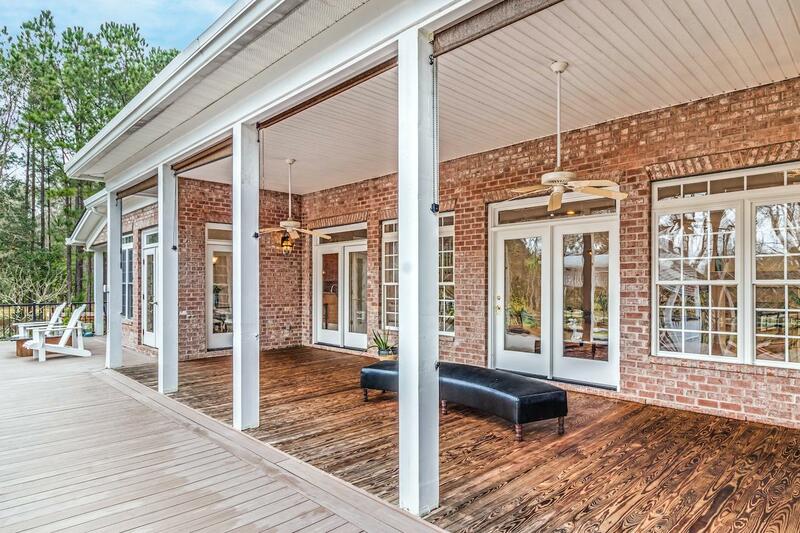 Another step forward takes you into the natural light-flooded living room that boasts views of the beautiful partially fenced-in yard, covered patio with upgraded flooring, gazebo, and vegetable garden. 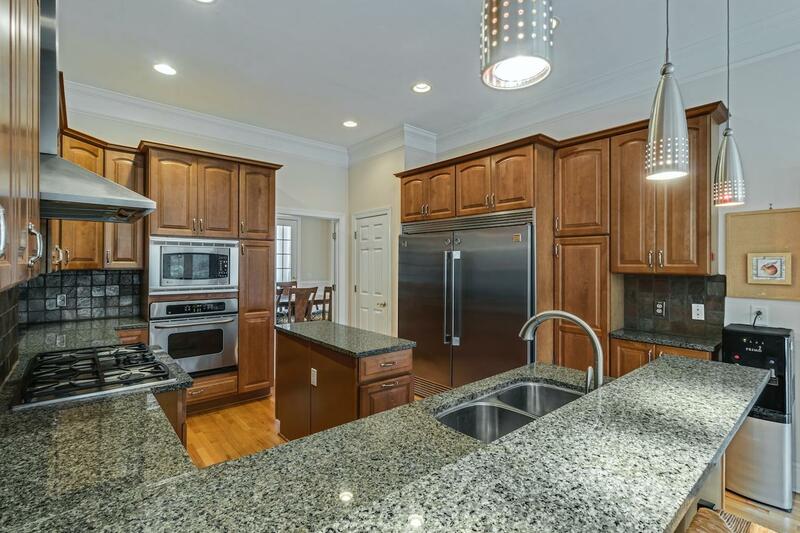 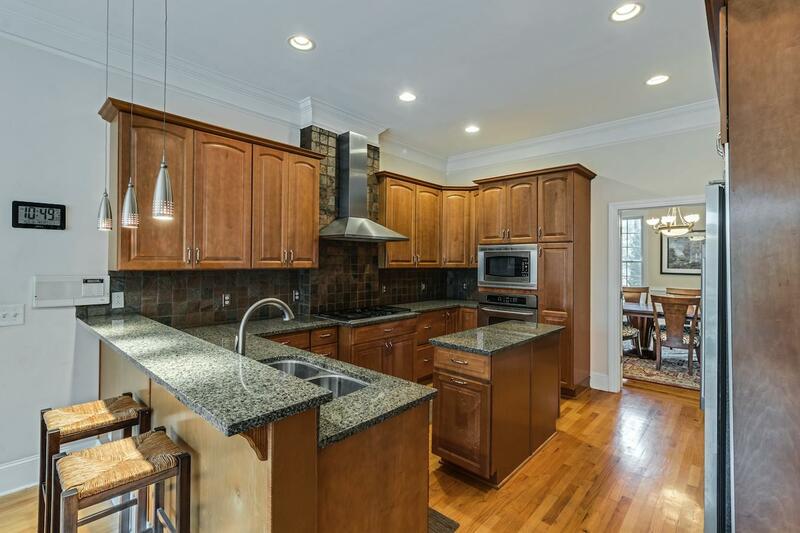 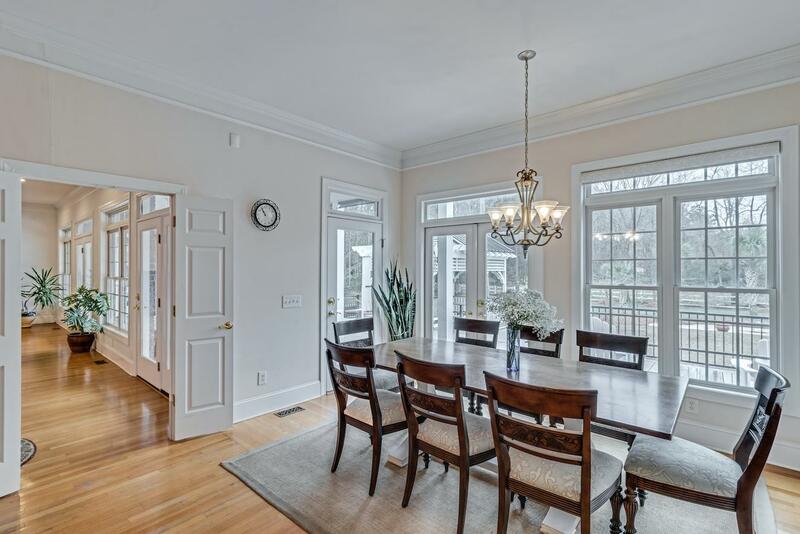 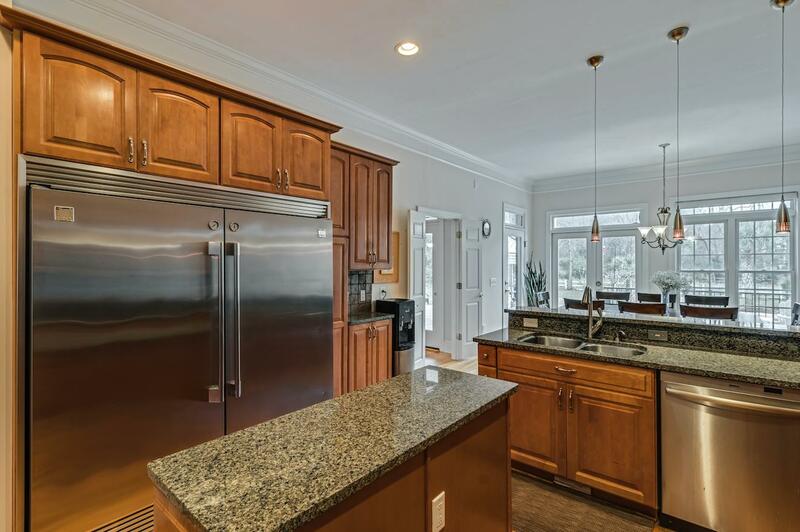 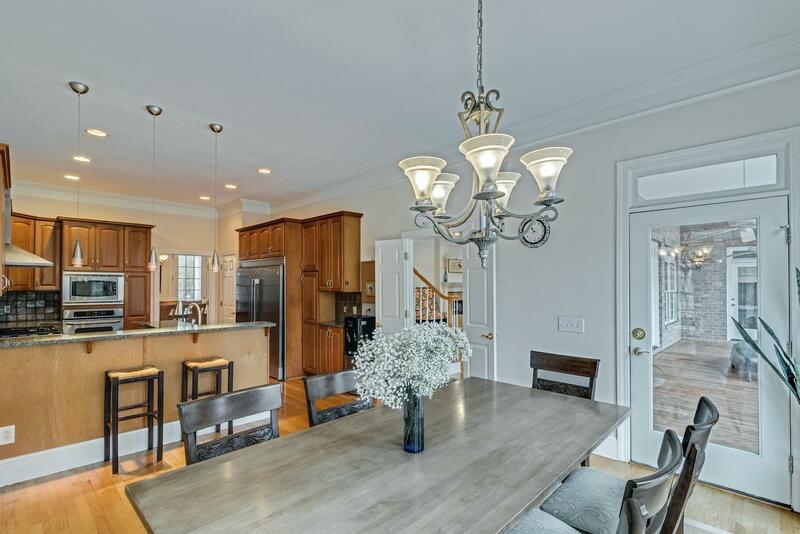 The open kitchen offers plenty of space to prepare meals on the kitchen island and a second dining area. 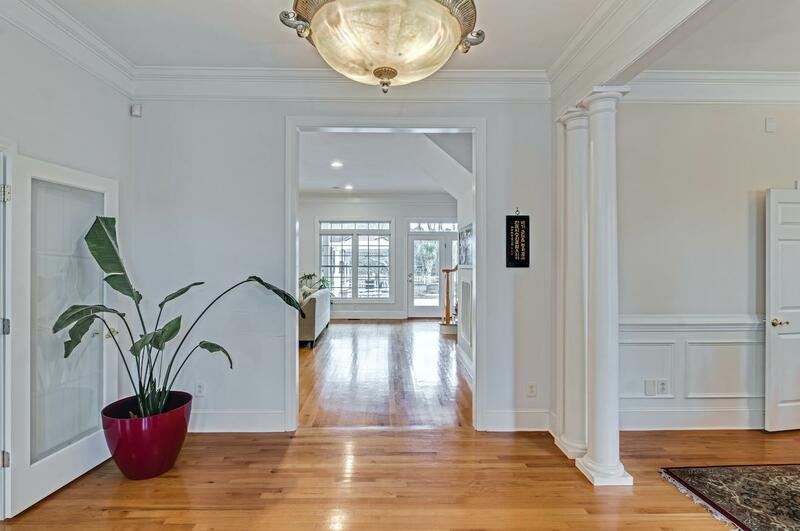 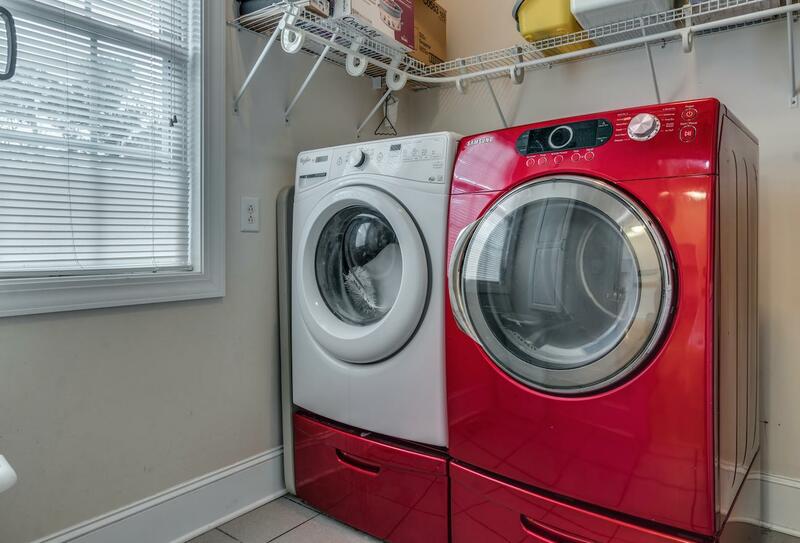 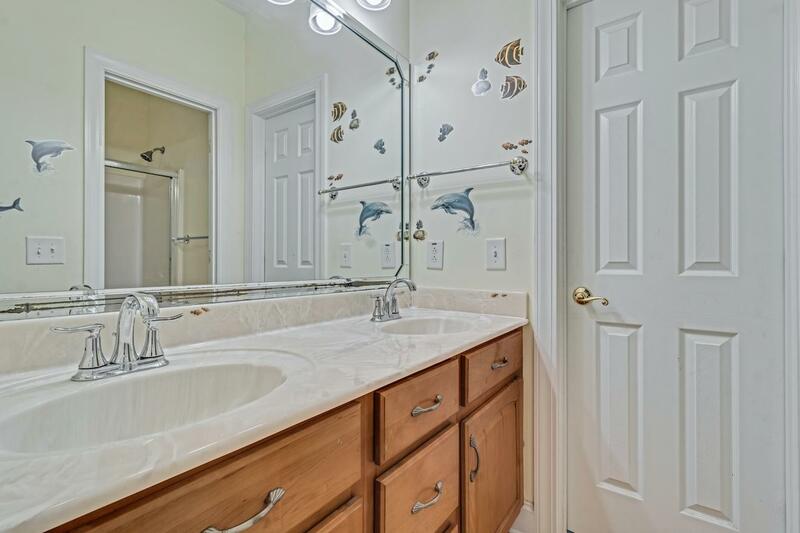 There you will also find the hallway to a powder room, access to the large garage that lends itself as boat storage, and the laundry room. 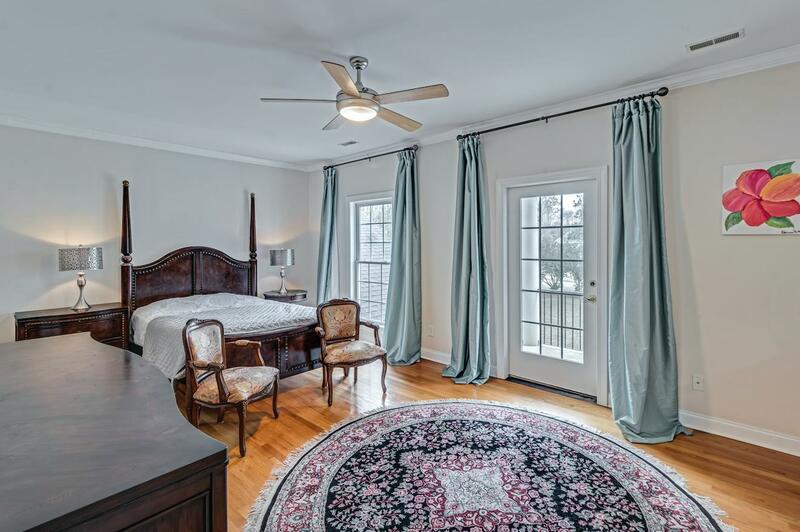 On the other side of the home, you will find one of the two master suites with large bathroom incl. 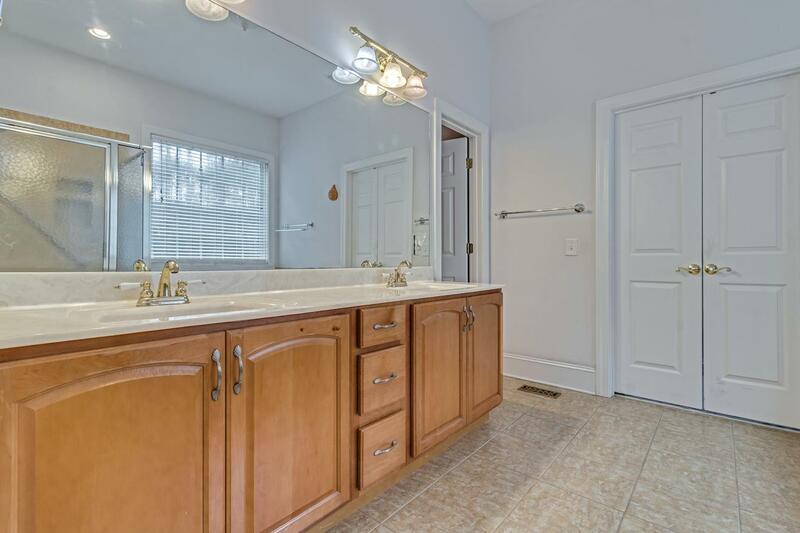 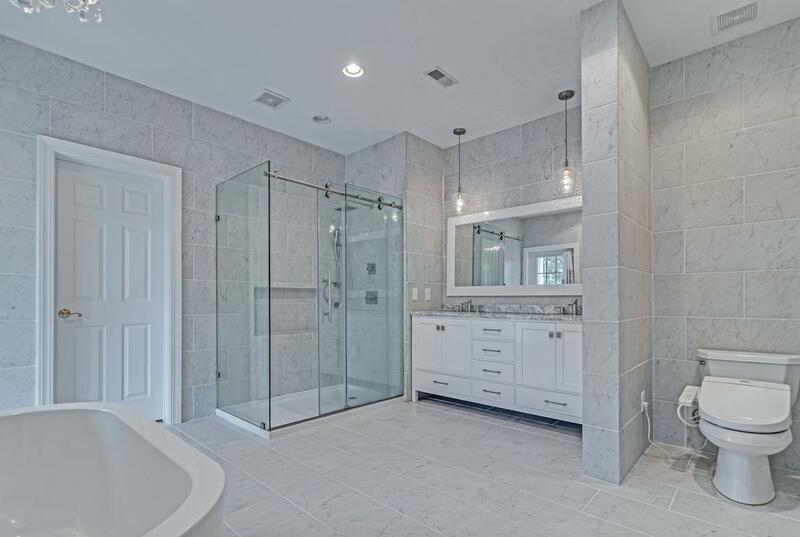 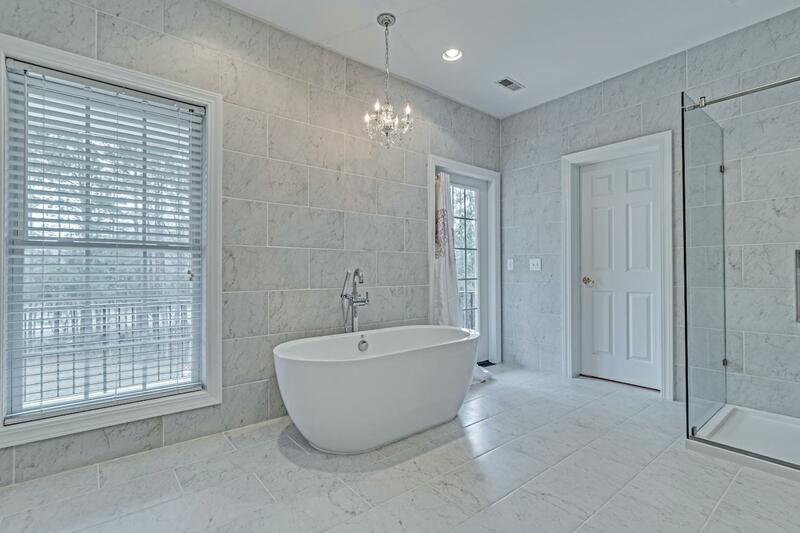 garden tub, double vanity and large walk in closet. 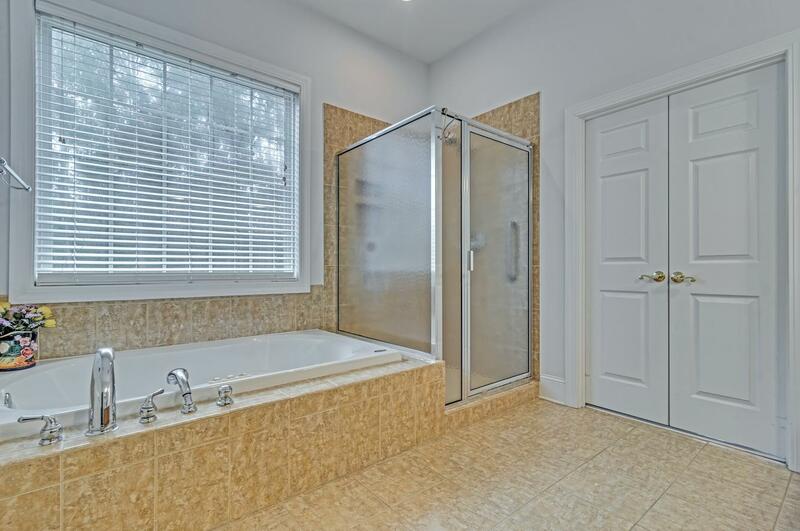 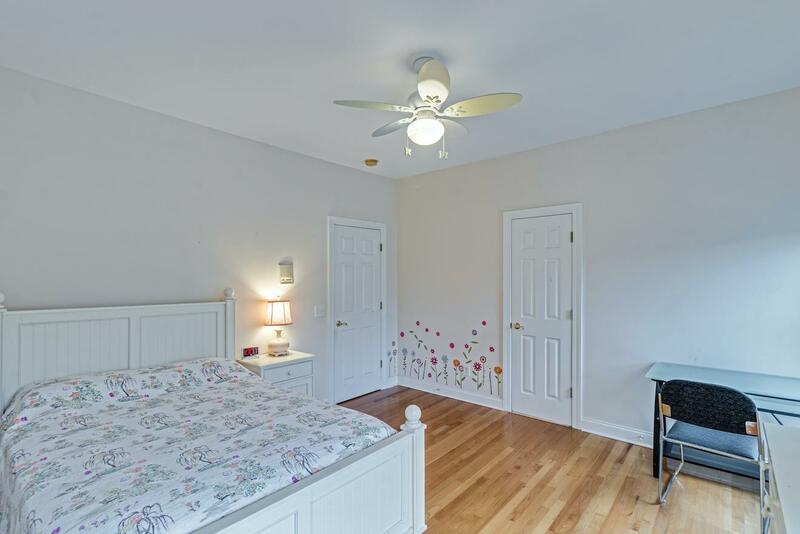 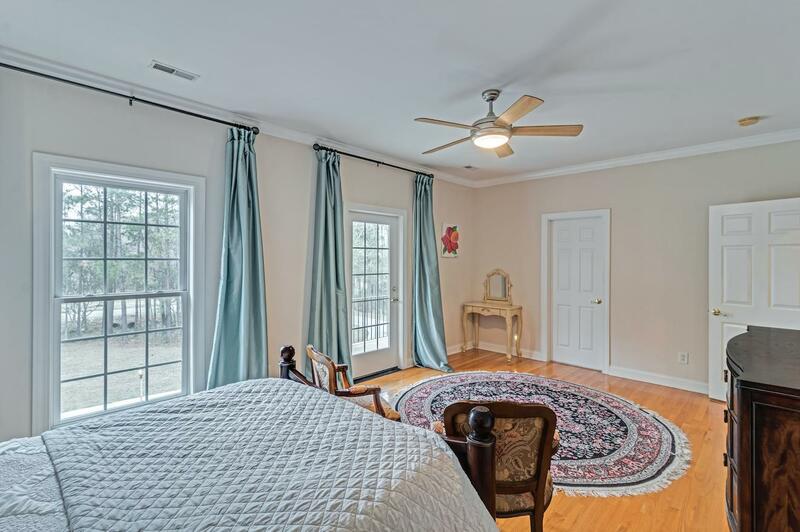 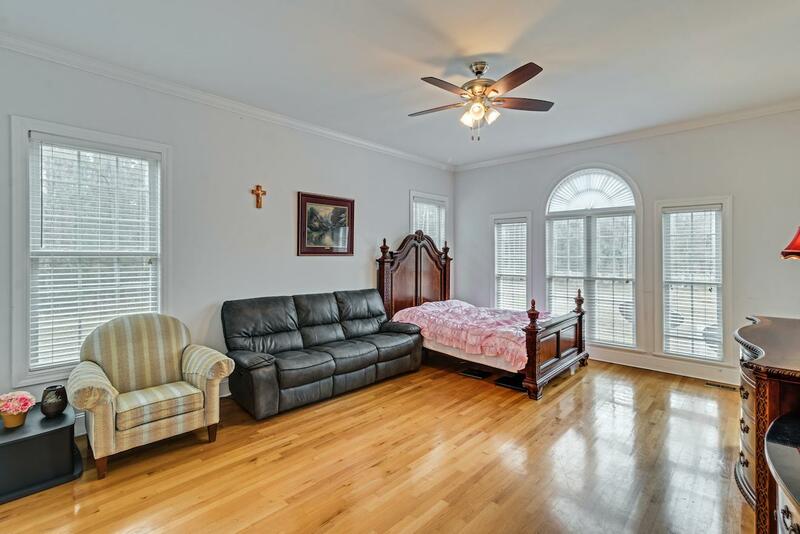 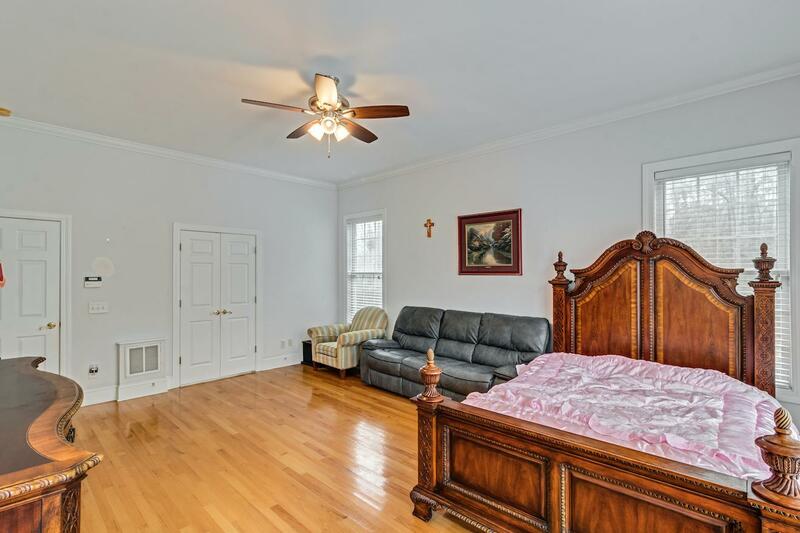 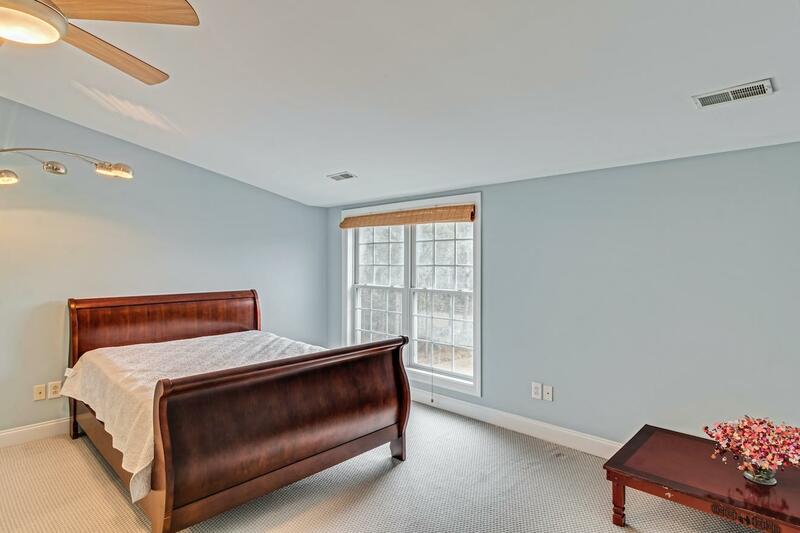 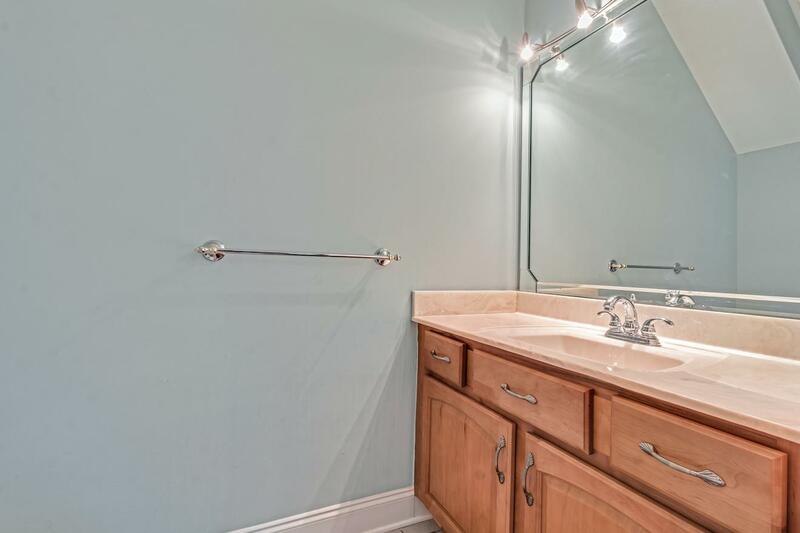 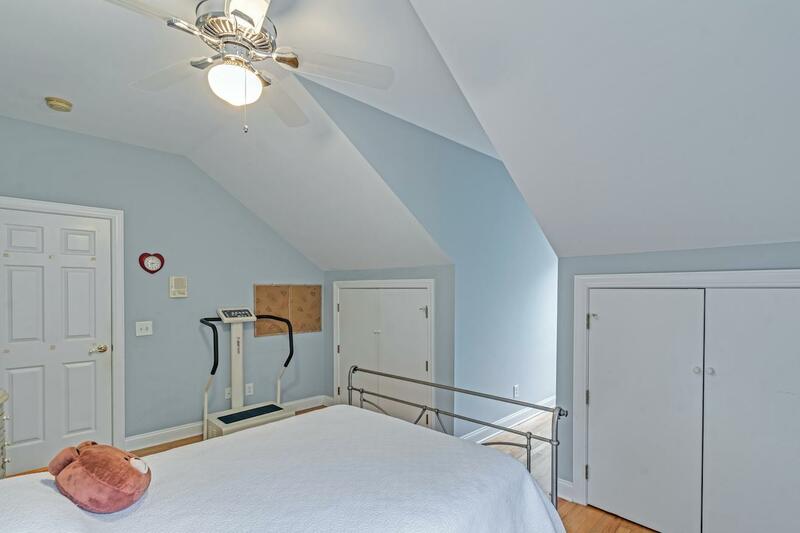 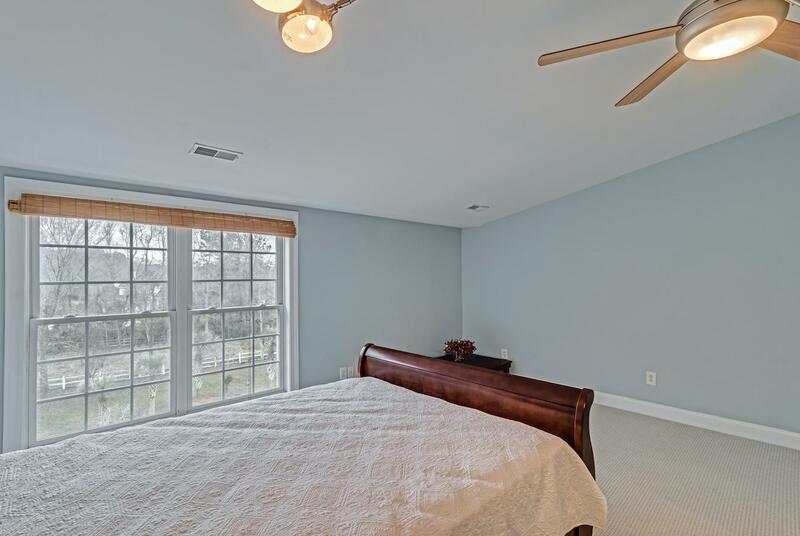 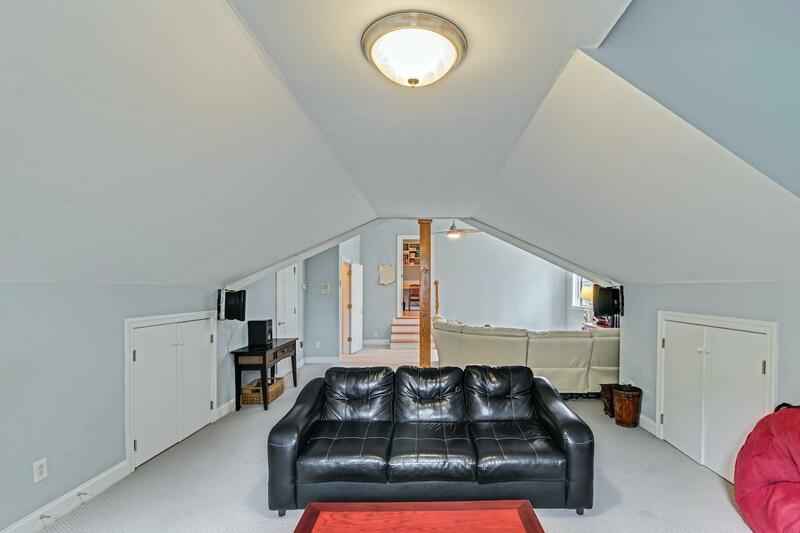 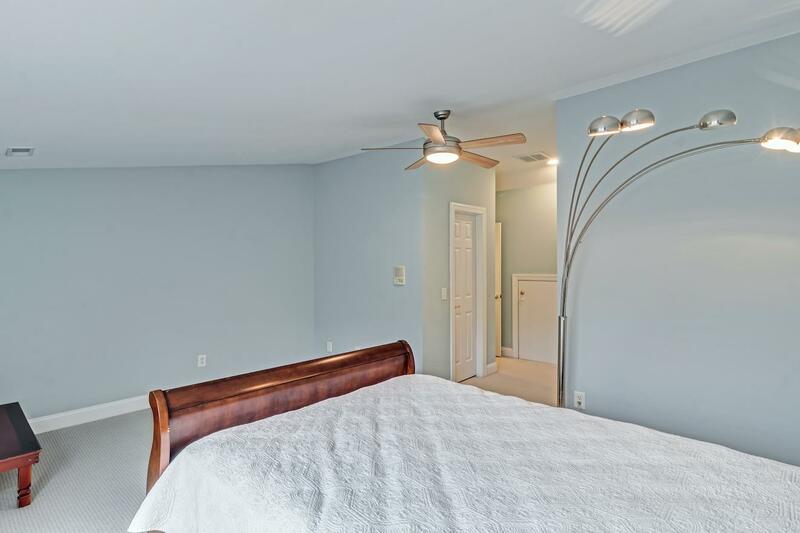 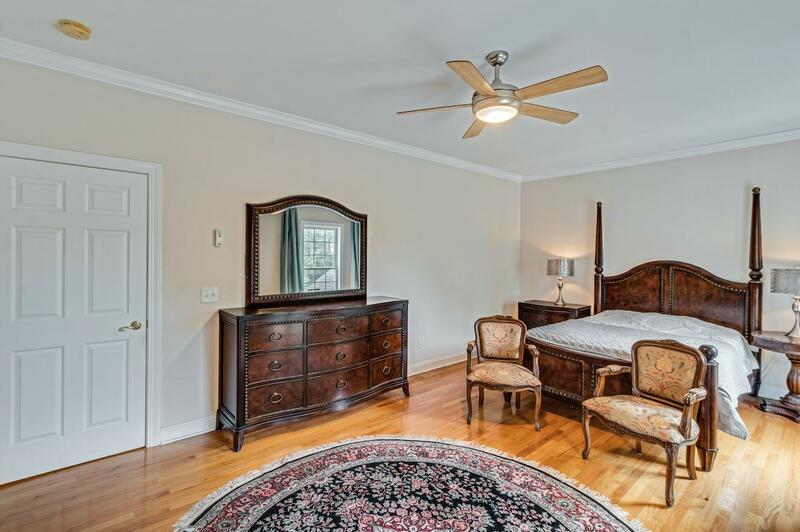 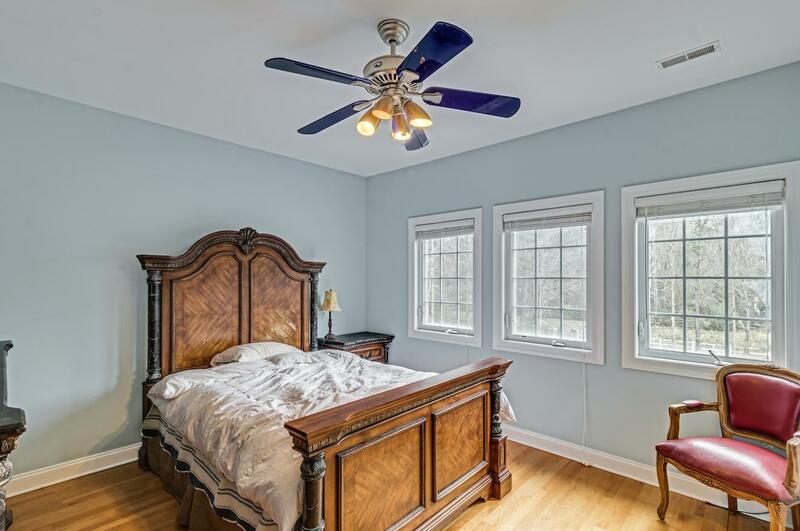 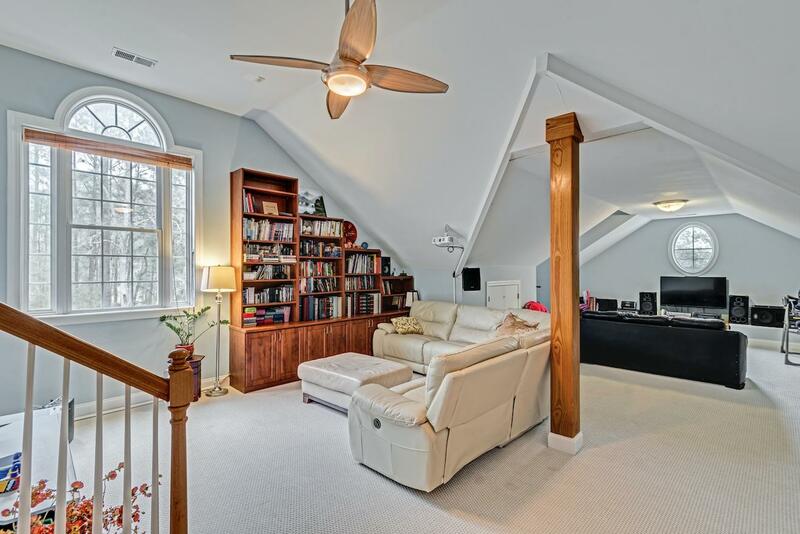 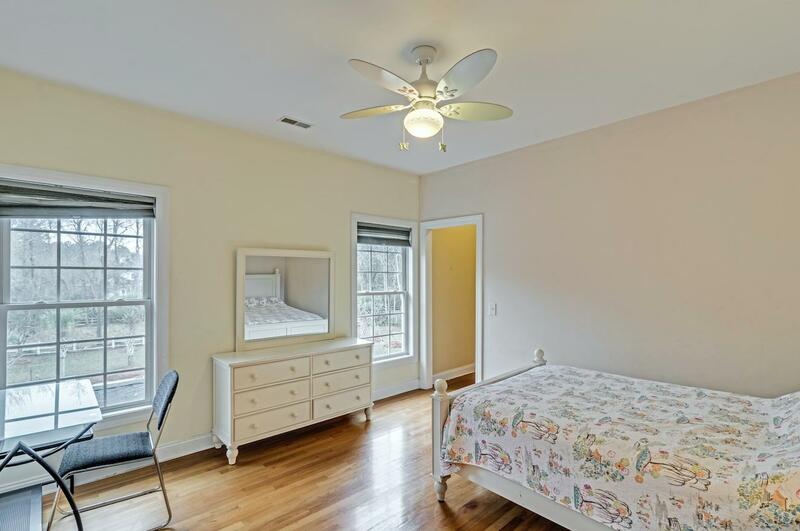 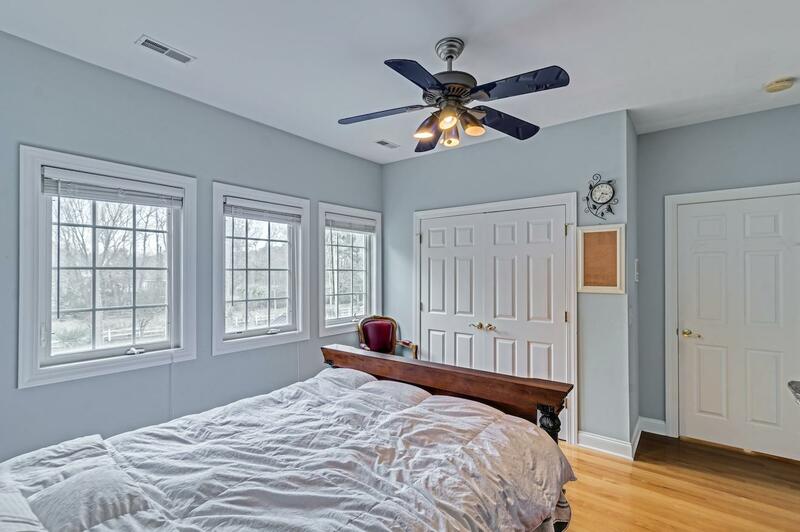 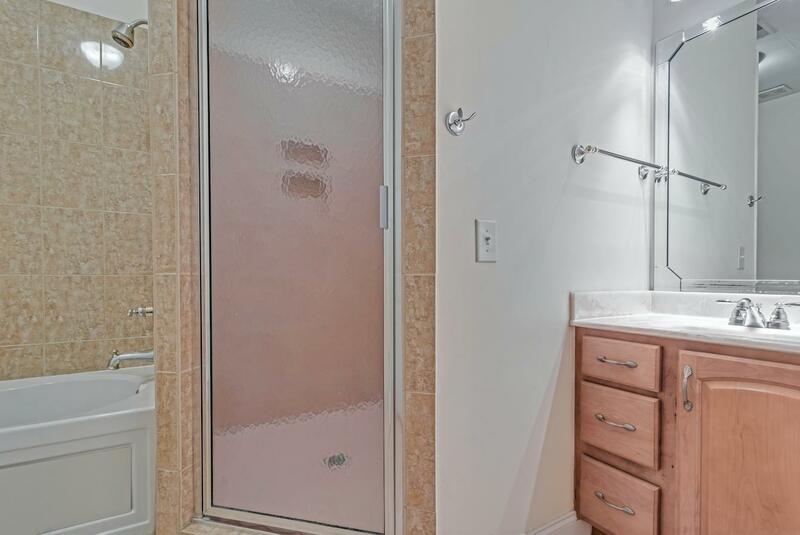 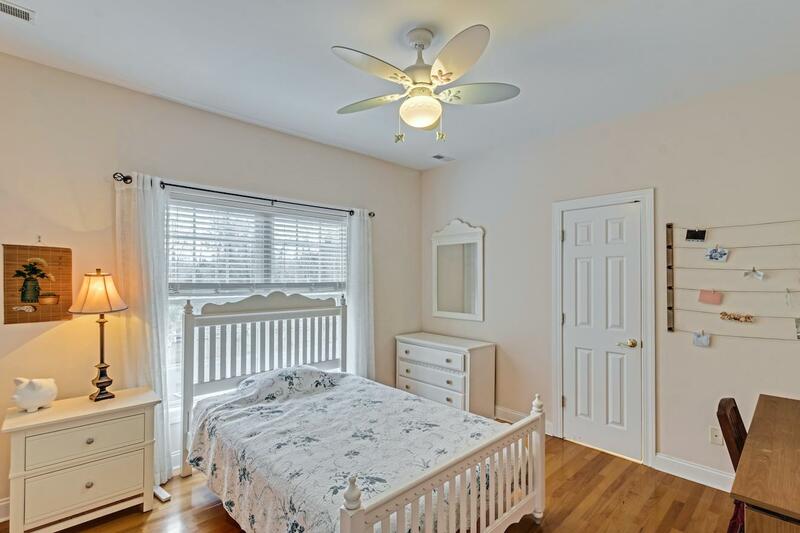 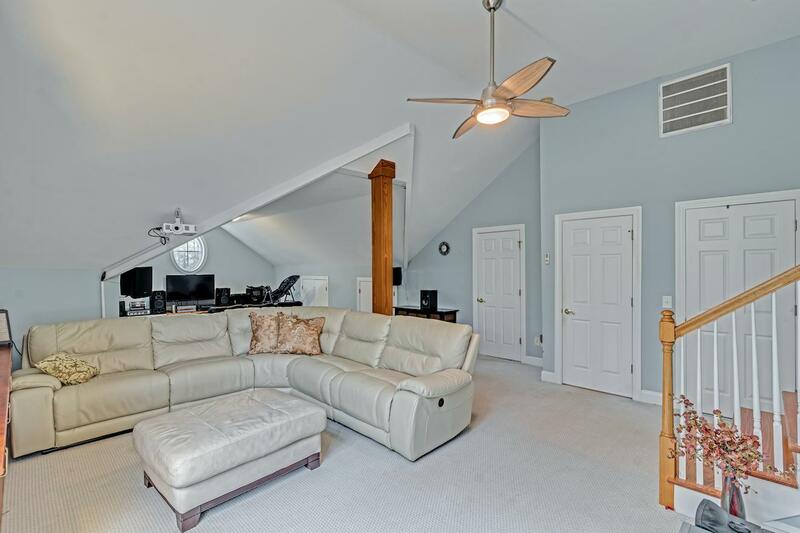 Upstairs, two bedroom were remodeled into a beautiful master suite with en-suite bathroom and walk-in closet. 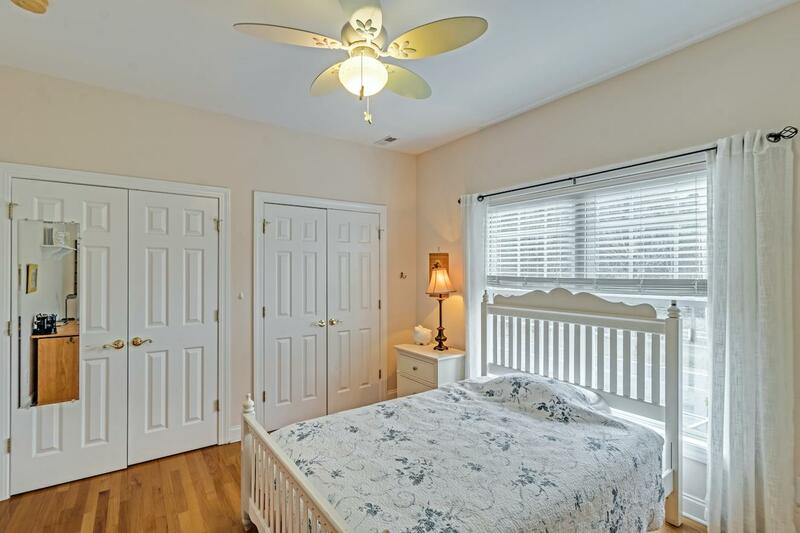 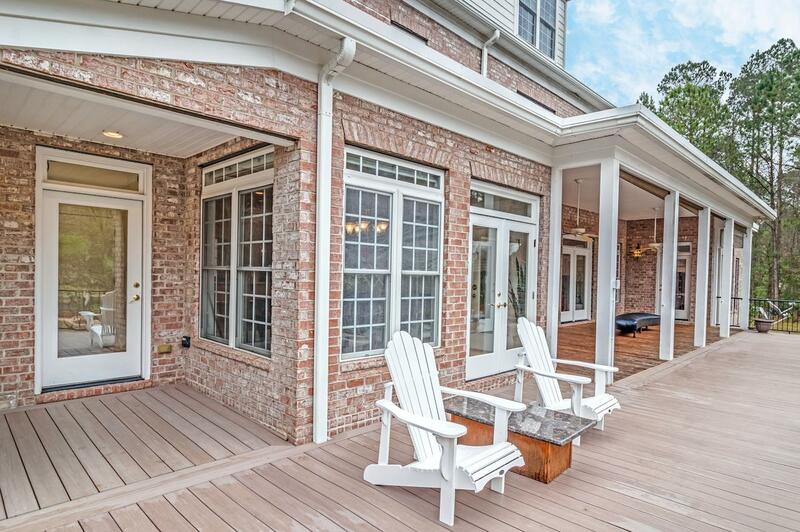 The master suite also has private access to the front balcony. 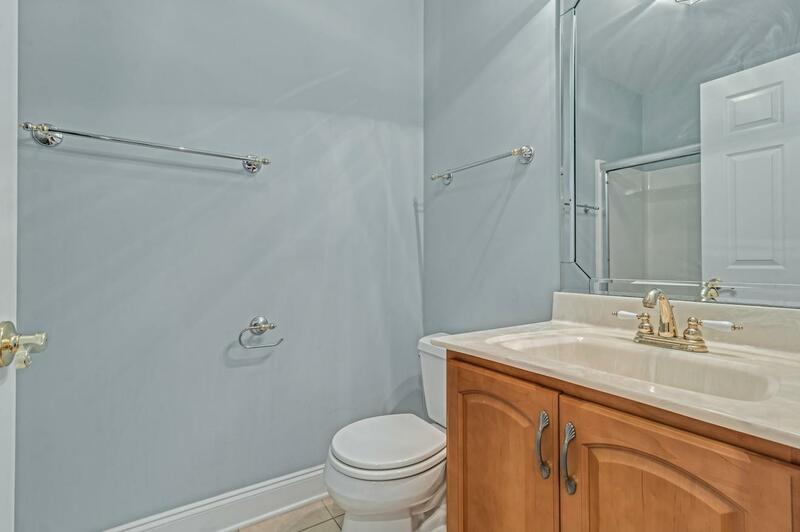 Two of the guest rooms are connected by a Jack-and-Jill bathroom, the other two share a hallway bathroom. 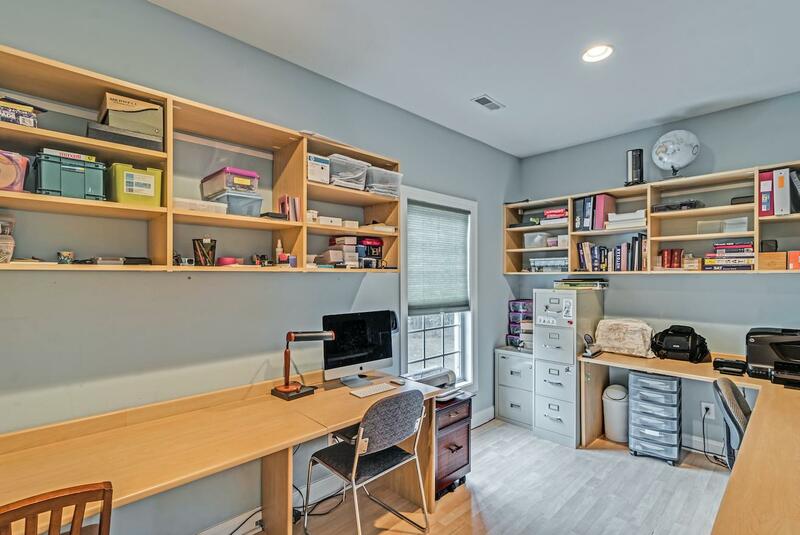 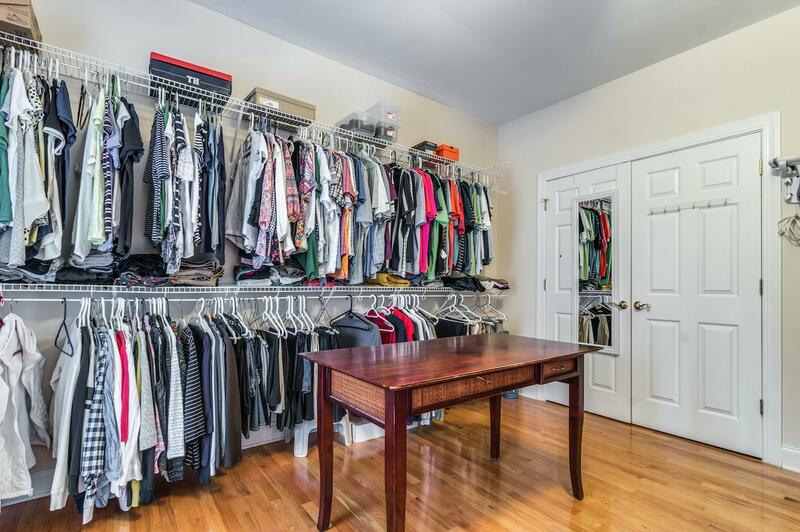 All have lots of closet space. 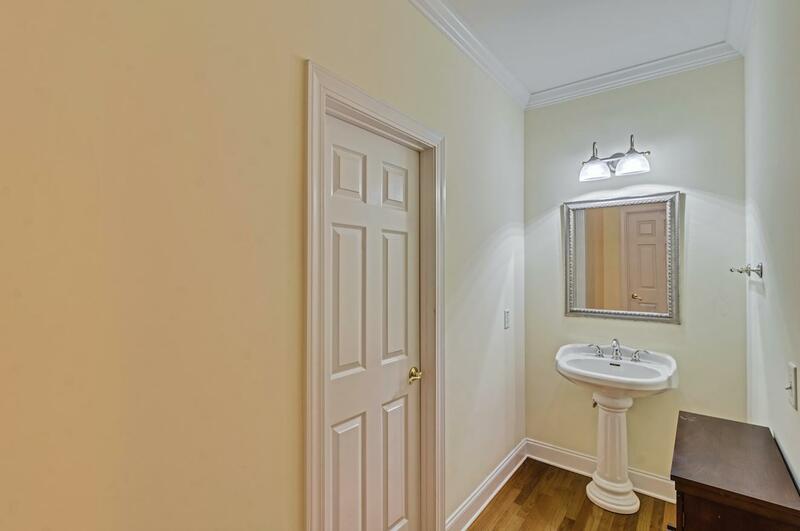 A small step down will take you to the finished FROG that can serve as a media or game room, complete with powder room and an additional office space. 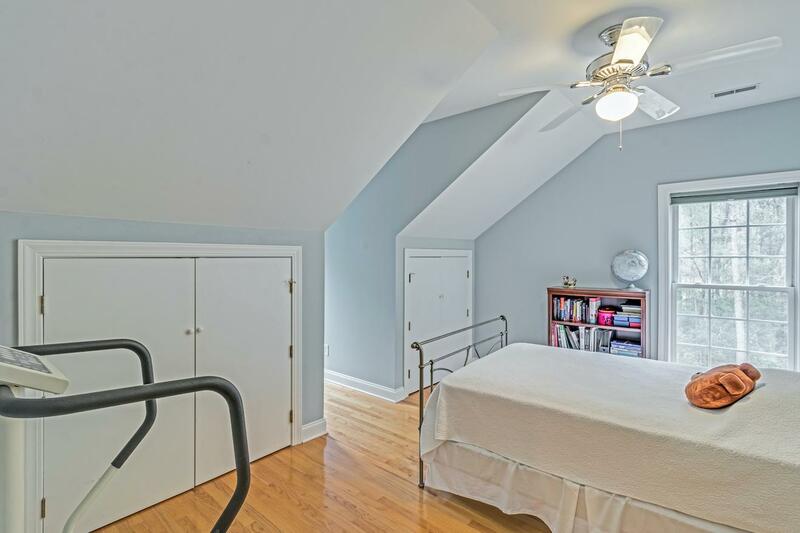 The third floor is home to one more guest room and full bath.